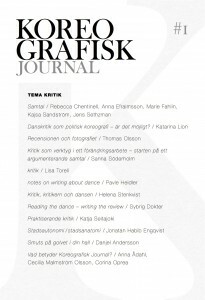 Koreografiska Konstitutet curate artistic projects within the choreographic field and works for long-term artistic development within and for choreography as an artform. 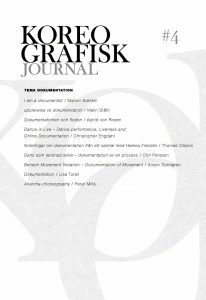 Through the projects Koreografiska Konstitutet proposes alternative approaches to, moves in between and supplement existing structures within the field of choreography. Projects are developed in interaction with the field’s artists and focus on creating artistic space for ideas that break with existing formats and conventions in the art form as well as in the field. 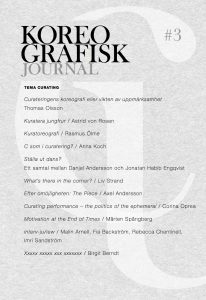 Koreografiska Konstitutet curate, among other projects, the biannual festival:display and publish Koreografisk Journal. 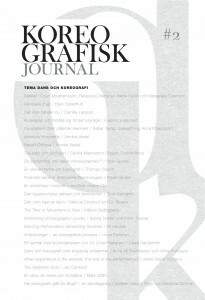 Koreografiska Konstitutet is funded and run by Rebecca Chentinell and Marie Fahlin.